TICKET PRICES : $10. Students (w/ID): Free. Described as a “brilliant musical scientist,” JUNO-nominated composer Nicole Lizée creates music from an eclectic mix of influences including the earliest MTV videos, turntablism, rave culture, Hitchcock, Kubrick, 1960s psychedelia and 1960s modernism. She is fascinated by the glitches made by outmoded and well-worn technology and captures these glitches, notates them, and integrates them into live performance. Lizée’s new performance will be the result of her collaboration while at the Lucas Artists Program with multi-instrumentalist Ben Reimer and the musical duo The Living Earth Show. Reimer's and Lizée’s mutual research focuses on how natural surroundings can serve as performance spaces and tools. This performance may include natural filters created by burying devices, experimenting with tin reverb, and panning through spatial placement of devices and musicians. When finalized, the piece will be the first in a series of new works entitled The WandererArt Collection. In this series, Nicole will present--while on location--distorted interpretations of geographic based art forms from her perspective as an outsider or outlander. Volume 1 will delve into SoCal surf culture, experimenting with the visual and sonic semiotics of the genre. The work will ultimately develop either as an installation or multimedia piece using field recordings collected and manipulated on-site in the Bay Area. The project is envisoned as being mobile and site dependent; it is intended to be built quickly and is propelled by the immediacy of the sights, sounds, and emotions experienced while gathering source material. In addition to presenting Open Air Electronica, Lizée will also discuss her work on a multimedia opera based on Karel Capek’s Rossum’s Universal Robots, and how this 1920 science fiction play relates to our current context of rapidly advancing technologies and recent developments in AI. 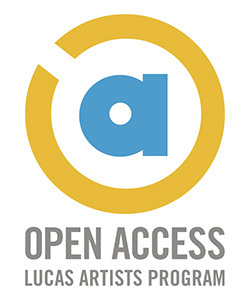 Due to inclement weather we have moved Open Air Electronic into the Lucas Artists Commons Building.